Choose between a 25% room discount or free breakfast and late check-out when you stay at the Le Meridien Hotel in Jakarta. All guests enjoy free WiFi. Nightly rates start from USD135 for a Superior Room, or USD108 if you choose the discount. Rates are subject to subject to service charge and taxes totaling 21%. 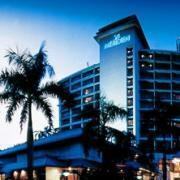 This promotion must be booked by July 31 for stays before August 31, 2012. Room rates vary by date and may be higher during peak periods. Rates are based on single or double occupancy. This promotion requires full pre-payment by credit card and no refunds or changes will be permitted. 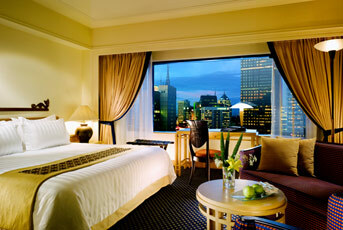 Le Meridien Jakarta is a five-star hotel located in the city’s Golden Triangle business district. Each of the 346 rooms is the height of luxury with large windows for panoramic city views. Superior and Deluxe rooms are furnished with one king or two twin-sized beds and have LCD TV with satellite channels, mini-bar, work desk with internet access, and bathroom with separate shower and tub. Hotel facilities include an outdoor pool, fitness centre, spa, and restaurants. Visit the Le Meridien Jakarta website for more information or to make an online booking. 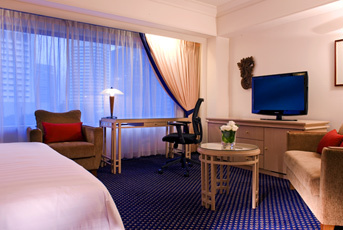 The hotel can also be contacted by calling (62)21 251 3131 or emailing Reservation.Jakarta@lemeridien.com.